Together we're growing something special. British Wool is the approved provider for shearing and wool handling training in the UK, with a programme designed to support candidates of all abilities in learning and developing a traditional rural skill. British Wool courses are recognised across the world and tailored to individual level of ability – from an absolute beginner (Blue Seal) to an advanced stage (Gold Seal). Course content is designed to achieve a number of individual objectives - from shearing your flock more efficiently and effectively, to building foundations for career entry opportunities, to supporting entry at global competitions of the highest standards. Courses are available throughout the UK, led by a team of registered and highly experienced instructors. 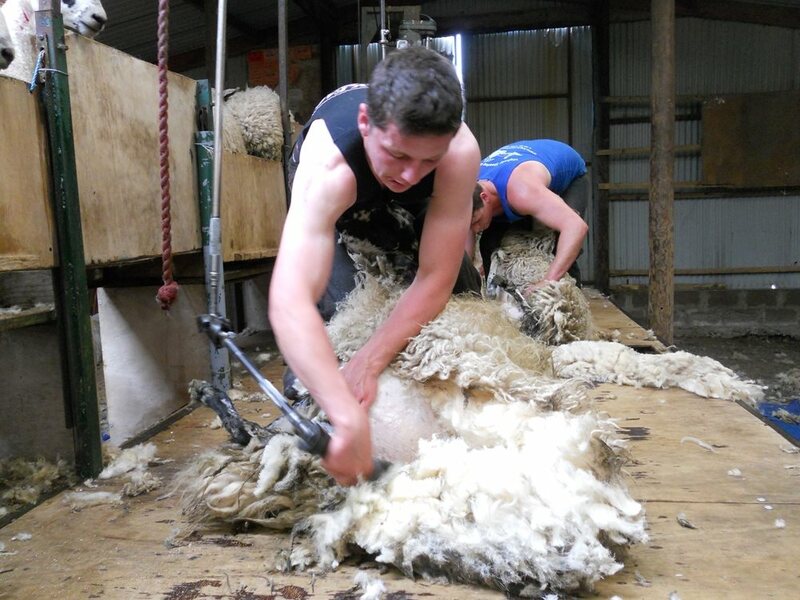 Shearing courses are generally delivered over a 2 day period during the shearing season. British Wool also delivers bespoke training courses for gangs at your premises, focusing on improving specific skills within your team. For all shearing courses, you will need to bring a handpiece in good running order and sufficient clean combs and cutters. Appropriate clean clothing must be worn. Click here to find out more and book online. British Wool also runs a number of one day courses covering a range of skills essential to the shearing process. Learn how to handle, prepare and pack your clip to the highest standards, achieving the best possible price for your wool. This is the ideal course for a complete beginner to understand how to handle sheep and equipment before attending a Blue Seal shearing course. Learn the different methods of crutching sheep, preparing lambs for abattoirs in line with current legislation and preparing ewes for lambing. Find out about the various combs available, the uses they have and how to comb shear effectively and efficiently. Information about different machines, droppers and handpieces will be covered extensively. Get the ultimate edge on your gear. Improve your technique and understand more about the best methods to care for and sharpen your combs and cutters, ensuring optimum equipment performance. 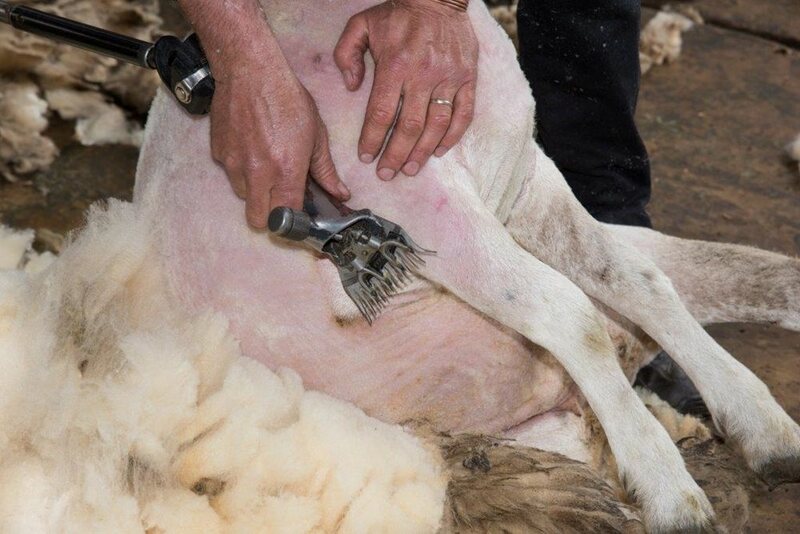 Learn how to prepare and maintain your blades for optimum efficiency and shear your sheep in line with best practice industry techniques. Certificates are awarded on successful completion of all courses. Click here to find out more and book online. If you have any questions about our training programmes or need assistance with booking training, contact your Regional Co-ordinator. If you’re new to shearing, visit the British Wool shop to purchase materials designed to support the beginners (Blue Seal) shearing course. Click here to read the joint industry guidance on shearing, which consolidates best practice. Introductions, risk assessment and introduction to equipment. Demonstration 1 – shearing and wool preparation. One to one tuition is provided during all student practice sessions. Students are assessed on an ongoing basis during day 2, with certificates presented in recognition of the level achieved.